In need of proficient Bellingham gas line services? Get in touch with the certified professionals at Eagle Plumbing & Heating. Call us today at (360) 318-9999. Click here to save on a number of our valued services. Broken gas lines can potentially be very dangerous, even causing fires, explosions, and other life threatening issues. A leak in your gas line can allow carbon monoxide to build up in your home putting you and your family at serious risk. Detecting the signs of a gas line problem and addressing them immediately will help to ensure that your loved ones are safe inside your home. People who are worried about a potential gas line emergency should contact the certified professionals at Eagle Plumbing & Heating right away. We offer specialized leak detection services, and can repair or replace your lines when necessary. 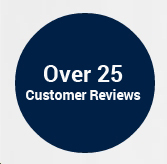 For reviews and testimonials on our outstanding services, click here. What are some common signs that it’s time to repair or replace your gas line? Homeowners can look for several signs to determine whether or not it is time to repair or replace the gas lines in their residence. If there are spots in the yard where the vegetation is discolored it may be time to contact our certified professionals in order to establish whether repair or replacement services are needed. If gas-powered appliances in your home begin to malfunction for no apparent reason or start to make strange noises there may be an issue with the lines at your property. You may also notice a foul smell in a section of your home, which could mean that the gas lines need servicing. It is important to note that all gas line problems should be taken care of immediately. If you have reason to believe that there is an issue, contact the skilled professionals at Eagle Plumbing & Heating right away. What should you do in the event of a leak? If possible, any appliances attached to a pipeline should be cut off immediately. In addition to detaching appliances from connections, you should also quickly turn off your gas. If you are unable to do this safely or do not know how leave it up to the professionals. After evacuating your residence a call to the public utility company should be made to alert them of the problem. Afterwards, place an emergency call to the professionals at Eagle Plumbing & Heating so we can promptly address the problem. Any vehicles that are parked near a suspected leak should not be moved in order to prevent a potentially life-threatening situation. What are some common signs of a leak? There are a number of signs one can look for in order to detect a gas leak. One of the most common signs that usually indicates that a leak is present in your home is an unpleasant odor, similar to the smell of rotten eggs. Hissing or squealing sounds coming from your pipes may signify that gas is being exerted at dangerously high levels. Whenever dirt is being released into the air from a pipe, there is usually a problem with the line. These issues are considered emergencies, as it only takes minutes for gas to saturate a home, which is why a professional should be contacted immediately. The highly qualified professionals at Eagle Plumbing & Heating use specialized equipment to determine if a gas leak is present, so they can then decide if the lines can be repaired or new ones need to be installed. For fast and reliable gas line services, contact the skilled professionals at Eagle Plumbing & Heating right away. Call us anytime at (360) 318-9999.